Noted time traveler Ron Faulstich on Monday somehow transmitted a photo from 1962, with a note that he planned to change the course of history one high-resolution digital print at a time. Faulstich would have made the announcement days earlier, although he said building the world’s first cell phone tower was a bit harder than he’d anticipated. If you’ve read this far, April Fool’s Day! 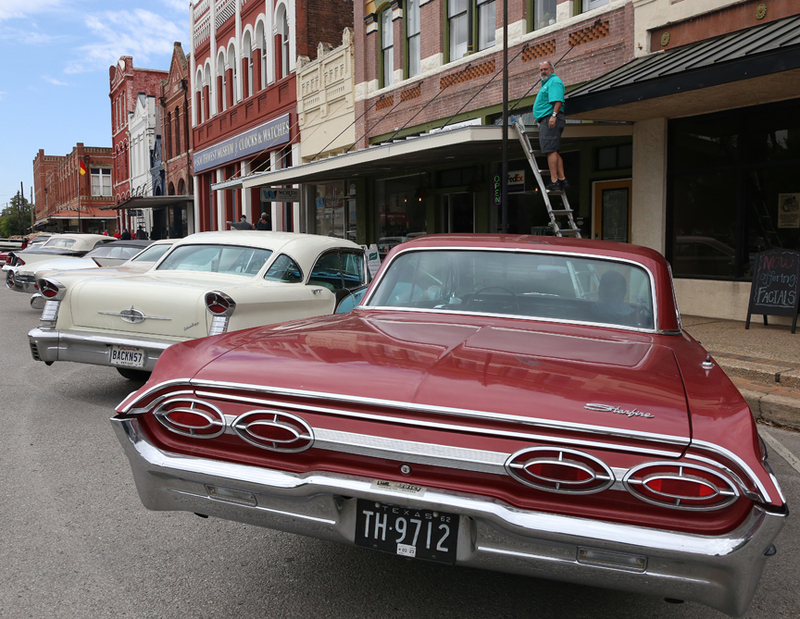 Lockhart on Monday was packed with more than 200 classic cars whose owners were participating in a five-day tour of Texas. 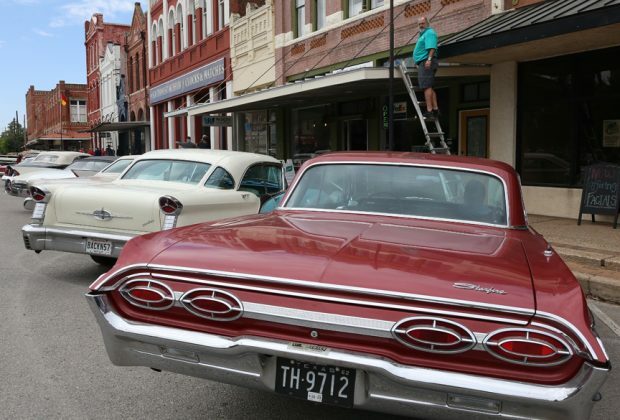 While some of the cars’ owners and drivers were from Texas, one participant said others were visiting from out of state. As for Faulstich, he was simply hanging his sign over Printing Solutions’ new awning, which was under construction for several months.